Spring is a season of renewal and one that looks to growth and recovery. Nowhere is this more evident as in the garden. Gardening provides an excellent hobby that can save you money, provide you with healthy food, and reconnect you with the earth. Here are some of the essential garden tools for the upcoming spring season. If you had a garden in the prior year on the spot where you are looking to plant, then you will need to remove the debris and dead plants that would have accumulated from the prior year. 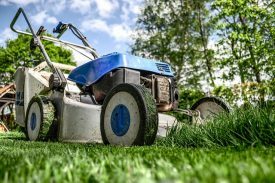 If you are creating a new garden for the first time, you will need to clean the grass or other items that are compacting the soil. To do so, you will need some basic tools. A good quality shovel cannot be overlooked and is the most important tool for any garden. It will allow you to dig into the soil and dislodge any roots from the dead plants and remove grass and other opportunistic weeds that are blocking up your garden plot. There are many different types of shovels and no one answer to the best model for your needs; some are good at digging and removing clay so you can replace it with higher quality soil, while others are better at breaking through rocky soil. Look through your soil and the job you are confronted with and choose the best shovel for your needs. You will also benefit from using a rake to clear away a lot of the debris that would have accumulated on the surface such as leaves and vines. 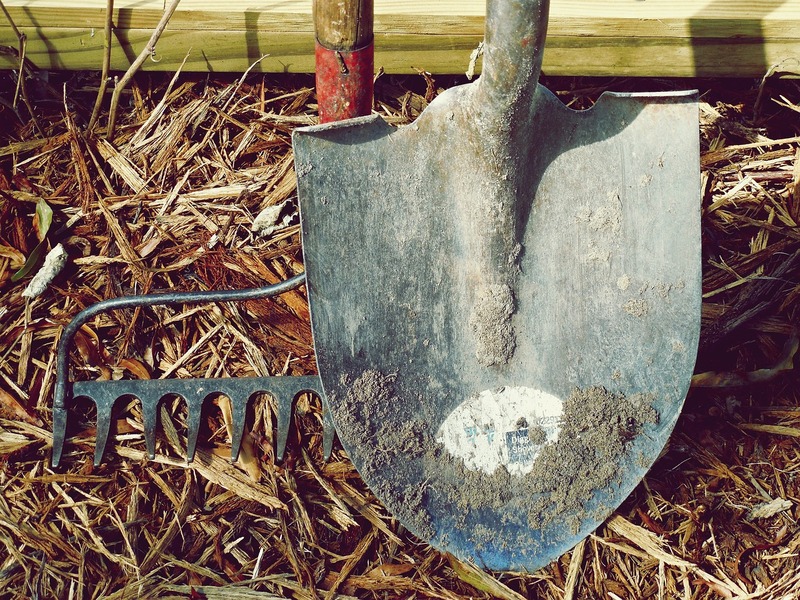 Rake over the soil surface and remove the items that are blocking your soil for planting. Sometimes it is better to dig this biomass under the soil so it can decompose as that is better for the soil quality over the long run. If you are moving a lot of soil, mulch, or fertilizer into a garden, or removing items like clay out of a garden, then an invaluable tool is a wheelbarrow. 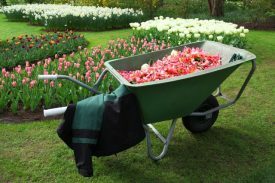 A wheelbarrow allows you to easily transport items into and out of a garden area and avoids the back and forth transport that takes up significant portions of your garden prep that often limits your ability to prepare the soil and plant items. When you are planting you should invest in good garden gloves. The best types are made of rugged leather or lambskin which can help to protect you when removing weeds and thorns from your garden. Good garden gloves are an useful tool that keeps you from more than getting dirty; they protect your hands from callous and pricks. Also invest in a quality trowel and rake for small planting work as a big shovel will not be able to to do the work in many of the small garden plots effectively. Sturdy trowels will help you to clear out small spots for planting. Cheap trowels often break at the head. If you have children, getting them a cheap trowel to partake in the process can be a great way to involve them in gardening. Once items are planted you will benefit from a good pair of pruning sheers to trim the size of different plants and keep them structured and effective. Many plants including tomatoes, grapes, and berry bushes, will produce more if they are effectively pruned and controlled in a reasonable way. They also look more attractive when pruned and will avoid entering into any garden paths that may clutter your garden. Watering your garden is important as well. If you don’t have an sprinkler system installed, then you should have a large watering can available or a hose or your time will quickly get stressed. The right tools can greatly ease your efforts gardening this spring. Get prepared with high quality tools that can make your gardening efforts progress easily and without issue in an easy manner.